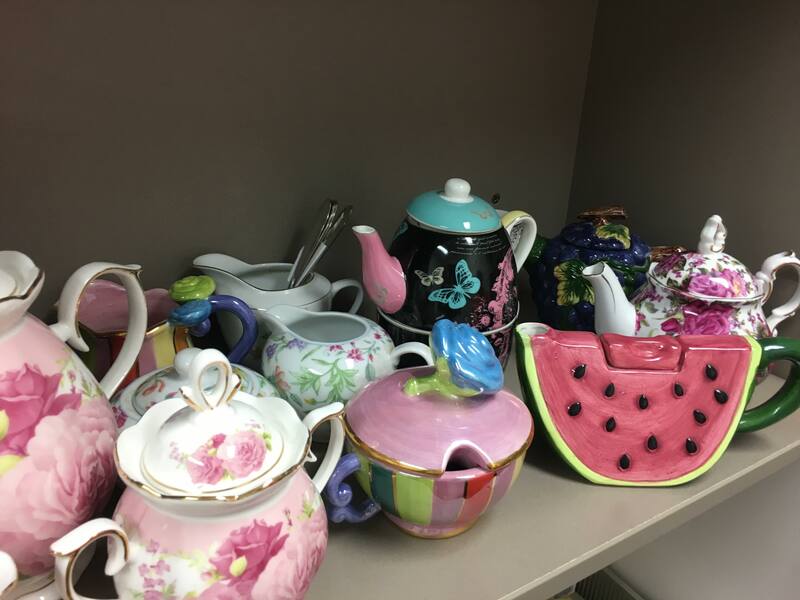 Our volunteer manager, Sue, has been on a crusade to find the most beautiful, the most quirky and the most adorable vintage teapots so patients can not only enjoy their favourite brew from a china cup but they can choose a special teapot to go with it. Since introducing the teapots many stories have been shared with nurses and volunteers already. Like the patient who always asked for the old fashioned brown ceramic teapot from Sue’s collection, because it brought back fond memories of the one her mother used. Even though it was over 60 years ago, she could vividly remember the many morning teas they shared together, drinking tea from a similar pot. Isn’t this wonderful? If you have a teapot in excellent condition that you are willing to donate to the Hospice, we would love to have it. You can drop it into our office in Connery House (Monday to Friday) or to the Hospice reception desk at any time. Thank you for helping us to make moments like this very special.